GST Michigan Works! Business Services team assists businesses to develop and align talent to meet their business goals. The goal of talent development is to assist businesses overcome critical challenges, adapt to new technologies, respond to market forces and target high quality training. To connect to a team of Business Solutions Professionals (BSP’s). Contact the Business & Talent Enhancement Department at GST Michigan Works! by calling (810) 233-5974 ext. 134. Or connect with any GST Michigan Works1 One-Stop Service Center locations and ask for a Business Services representative. Pure Michigan Talent Connect: The Web site brings people and jobs together by taking in resumes from job-seekers and job openings from employers. The result is an extensive, searchable and dynamic employment marketplace. Michigan Works! Association Information for Employers: Employers across Michigan turn to the Michigan Works! System to identify skilled candidates who are prepared and ready to succeed. Michigan Works! Agencies and Service Centers offer a variety of services, such as online job advertisement, training support, talent recruitment and resume sorting, to ensure that the labor force meets the needs of employers. Small Business Development Center (SBDC): In response to the America’s Small Business national branding initiative, and in recognition of the difficulty of branding/communicating verbally the “T” amidst the SBTDC, transitioned to the national brand, with a tagline indicating “technology commercialization accredited since 2002. The SBDC was awarded a second year of funding to assist the Michigan Economic Development Corporation (MEDC) in its delivery of Export Assistance. The SBDC now has twenty-three (23) consultants and regional directors either NASBITE certified or Small Business Administration (SBA) international trained certified. 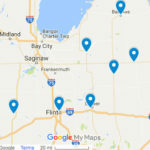 The SBDC continued to manage the Pure Michigan Business Connect referrals requesting business services. 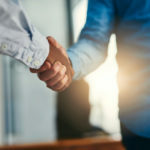 Pure Michigan Business Connect: is a multi-billion dollar public/private initiative developed by the Michigan Economic Development Corporation (MEDC) connecting buyers to suppliers of Michigan goods and services. Michigan companies can sign up for free to access this premier business-to-business (B2B) network and be introduced to opportunities to expand their supply chain within the state and access Michigan service providers, including pro bono and discounted services, such as legal, accounting, Web development, logistics and human resource assistance. Growing second-stage companies are also encouraged to explore PMBC and apply to the Economic Gardening® program, which offers powerful resources to launch companies into the next stage of growth at no additional cost to those who qualify.